If you are a leader who wants to do things right, Leading People Safely will help you become a better leader. Better yet, if you are a safety consultant, safety manager, work in loss control or risk management, this book will give you a practical framework or model to help setup a cutting-edge safety program. Fielkow and Schultz’s central thesis is that an organization needs a strong “culture of prevention” to operate safely. “‘Safety’ is not a department.” And it should be not the function of the safety department to assume the responsibilities of management. 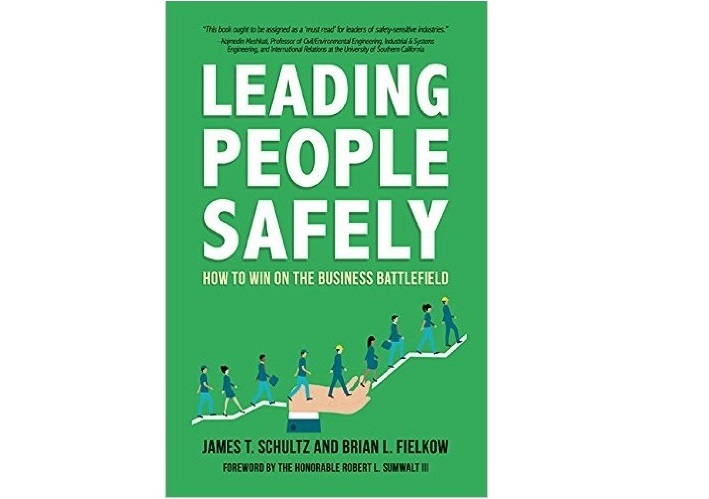 Fielkow and Schultz point out that management generally scores itself high on safety leadership—but the front-line workforce would often beg to differ. Leading People Safely presents a number of practical tools to help align perception and reality. The quickest way to clear a room is to mention the words ‘safety’ or ‘leadership.’ The most common excuse is, “Really great ideas, but they won’t work here.” Fielkow and Schultz might retort, “Then try building a safety culture, not a cost culture.” (Chap. 1 & 2) We learn in Chap. 3 there are some things money can’t buy: Culture drives happiness. Culture is based on the 3 Ts: Treatment, Transparency and Trust to ensure employee engagement. To know safety, one must know accountability (Chap. 4), in all its flavors, on an individual level, organizational level, and pee-to-peer level. We’re not talking about compliance (Chap. 5), but overcoming at least 12 common safety challenges under the rubric of ‘Dysfunctional Creep.’ (Chap. 6) That ends Part I of the book. Then it gets better . . . But any organization can start to wander off course, and when it does, sometimes a “Shock and Awe” move can put it back on track. (Chap. 26). Finally, help your workforce to develop a list of your organization’s Life-Critical Rules (Chap. 27). Disclaimer: I was provided a review copy by one of the authors. Last week I attended a Risk Management webinar. Management of risk should be a primary consideration in reaching one’s goals, be they business or personal, when the outcome is uncertain. Not everyone is familiar with nor cares about managing risks. In many instances, by virtue of experience, education and training, they feel comfortable with their planned outcomes, because they are aware of all of the risks involved. Depending on your outcomes, this level of expertise can be gained in a short time, or is the accumulation of a lifetime. In a number of instances having a structured risk management framework serves no purpose. The potential “gain” is too small, or the loss will not be that big. It’s not a matter of life or death. What happens at the enterprise level is the potential for change. Change is a constant, but the rate of change can vary. In business, an organization can quickly grow. Without constant active management, the risks can grow faster than the organization. Even with active management, risks are always present. A key employee or customer can leave unexpectedly, resulting in a gap that can’t be easily filled. A new technology can result in a boom—or a bust. One good reminder I gained from the risk management webinar is this: Don’t gamble. Gambling in transportation is deadly. 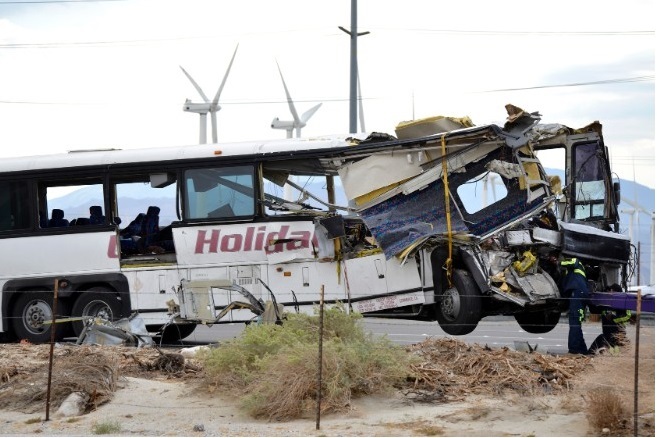 Gambling can take the from of the driver who does not use G.O.A.L. (Get-Out-And-Look), damaging property or lives. Gambling can take the form of not properly vetting a driver or not waiting for the results of a drug screen, or taking any number of shortcuts. Taking shortcuts, skipping procedures, or taking unnecessary risks will come back to haunt you. When you roll the bones, sooner or later you will turn up a set of snake eyes . . .
There’s no place in transportation or business for gambling.